Volkswagen AG and Ford Motor Company said they will form a global alliance to develop commercial vans and medium-sized pickups for global markets beginning as early as 2022. 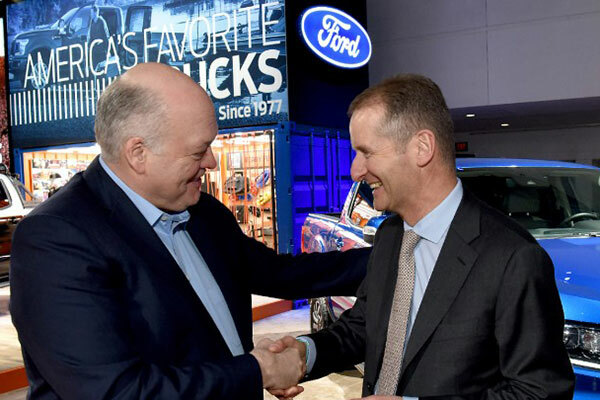 Volkswagen CEO Dr Herbert Diess and Ford CEO Jim Hackett said the alliance will drive significant scale and efficiencies and enable both companies to share investments in vehicle architectures that deliver distinct capabilities and technologies. Both companies also said they were open to considering additional vehicle programs in the future. The teams will continue working through details in the coming months. The Volkswagen Group with its headquarters in Wolfsburg is one of the world’s leading automobile manufacturers and the largest carmaker in Europe. The product spectrum ranges from motorcycles to small cars and luxury vehicles. In the commercial vehicle sector, the products include ranges from pick-ups, buses and heavy trucks.